The nation's third largest community college system, the 58-campus and 80,000-student North Carolina Community College System (NCCCS), recently modernized its IT infrastructure for 40 colleges in order to cut energy use in half and be more efficient. For the overhaul, NCCCS worked with nearby IT consulting company Alphanumeric Systems to switch out “older, rack mountable Sun Enterprise 450 and Sun Fire v890 servers from Sun Microsystems and other SPARC Enterprise servers, which had been in place for many years,” according to information from Alphanumeric. The M10-1 scales up to 16 cores and 1 TB of DDR3 memory. Image: Fujitsu. With assistance from Alphanumeric — who sought a long-term solution for NCCCS — the community college system selected and implemented Fujitsu M10 SPARC-based servers running Ellucian higher education software to manage day-to-day campus business processes, admissions and registration, accounting, payroll and human resources. Lower operating costs with dynamic scaling that cuts space requirements by 75 percent. Alphanumeric was responsible for the entire implementation process — from planning, to automating the solutions, to creating a disaster recovery solution to ensure campus processes aren’t disrupted by outside factors. 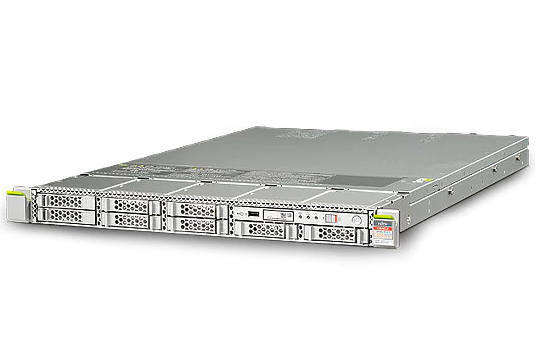 Director of Information Services at the College of the Albemarle Wayman White described the Fujitsu M10-1 as “a workhorse server” that employs “high-availability principles at all levels, from the processor chip to the system design, which helps deliver 24/7 uptime for critical campus applications." “Knock on wood, but with the Fujitsu M10, we’ve never had to place a service call, never had to replace a hard drive,” said Dustin Howell, systems administrator at Mitchell Community College, in the statement.